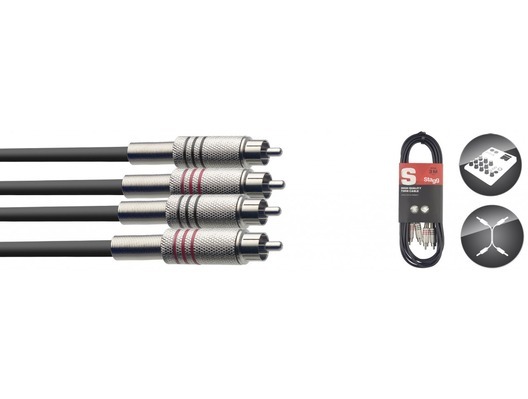 Stagg 3m Professional Twin Cable - 2x RCA Phono to 2x RCA Phono. I would recommend these cables to anyone. I use them with xlr adapters on one end for connecting to my alto active speakers. There is no added hiss even at louder volumes. They are hard wearing and great for gigging with. You can't go wrong with these cables.